In many sources you often see squadron codes listed for both RCAF Homefront Hurricanes and their Squadrons. However, in all of my research I have yet to find a single picture of a RCAF Hurricane with both squadron codes and the individual aircraft code. (Please keep in mind that the photos of BV coded aircraft from 126 Squadron RCAF are Sea Hurricanes and not standard Hurricanes.) It seemed to me that unlike the RCAF Kittyhawks the Hurricanes didn't carry the squadron codes, only the single aircraft code. Well I was wrong. 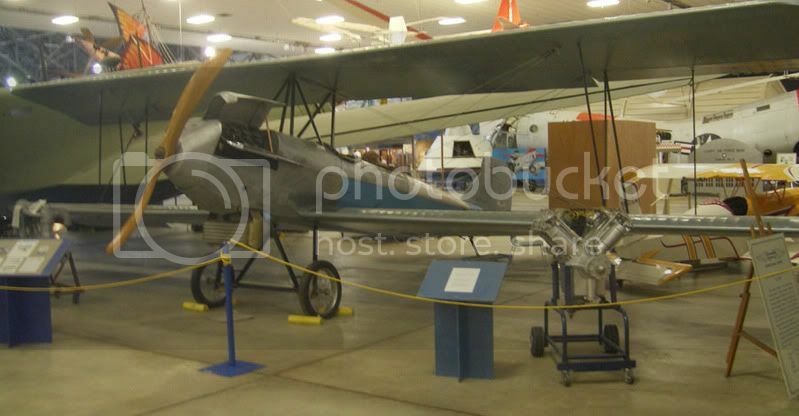 While searching through the Canada's Aviation Museum's Image Bank I found two photos. I'm not sure if they are new, or if I had somehow overlooked them in the past. Here we have two 128 Squadron RCAF Hurricane Xs with squadron codes. 1351 RA-A and 1380 RA-S. Both these accidents happened in the summer of 1942. Here is an interesting kit I got on E-bay last week. The kit consists of five small sprues of injected plastic, an acetate for the windscreen and a sheet of decals with two options. The plastic parts are pretty nicely modeled for a short run kit. There is a little flash, but the detail is quite well done. The moldings kind of remind me of a cross between an ICM and a Roden kit. Decals are provided for a yellow and camouflage Audax trainer from 18 Elementary and Reserve Training School in 1938 and a 28 Squadron Audax in India in 1939. Price was right...under $20 including postage. As some of you may know, I have long been waging a personal war on 1/48 scale kits. They are a pox against humanity and need to be cleansed from the face of the earth. "Quarter inch" kits are the Devil Scale and should be banished. Don't ask why...it doesn't matter...just accept it. I've tried many ways to criminalize the Devil Scale, but I think I've finally found a way that will work. My friend Jeff Miller mentioned the Lori Drew case on his blog yesterday and linked to a few days old post on the Volokh Conspiracy. I had not heard about the Drew case, but it appears to have made new law. Rather then study the case and debate if it made new law, I'm just going to apply the precedent. (Heck I read it on the internet, it has to be true, right.) So here are the new A Scale Canadian Terms of Service. 1. 1/48 scale kits are the Devil Scale. By reading this blog you agree to only buy and build kits from the one true scale aka the Divine Scale, 1/72. 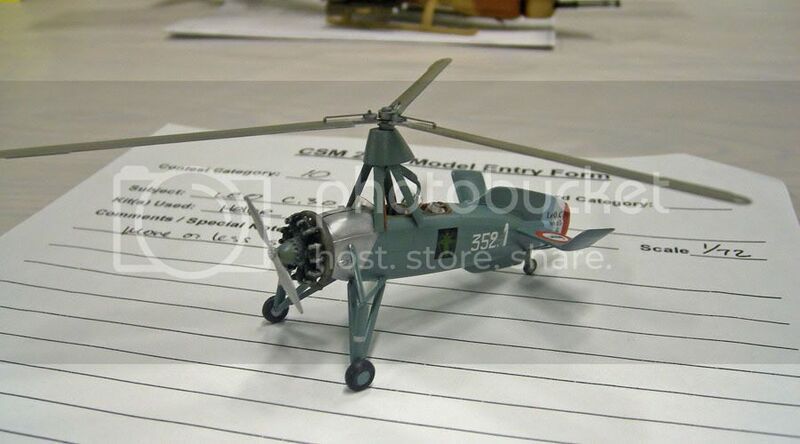 Purchasing, building, ownership, transference, thinking about, or even reading an online review of a 1/48 scale kit violates A Scale Canadian's Terms of Service. As violations of website's Terms of Service are now felonies, Federal Marshals will be at your door any minute 1/48 builder. 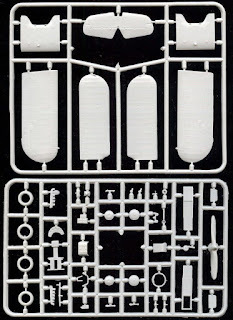 You will spend the rest of your years building snaptite 1/72 scale kits in Federal Prison using Testors non-toxic tube glue and breaking the parts off the sprues. You have been warned! 2. Multiple violations of Terms of Service Term 1 by the same modeler require the mandatory application of the death penalty. 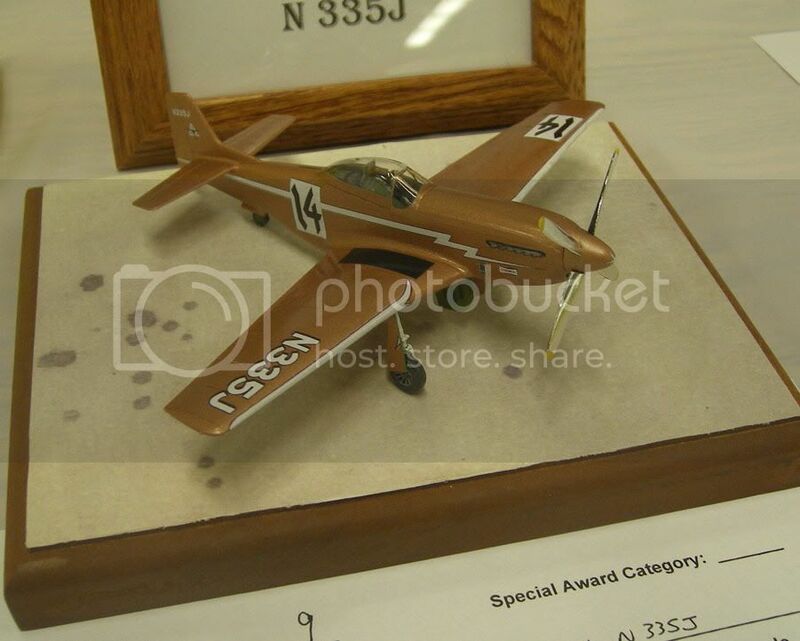 Ownership of one 1/48 scale kit is a crime against humanity, but ownership of multiple 1/48 scale kits violates the civil rights of all humans. We hold this truth to be self evident. No exceptions, no take-backs. 3. No images, words, knowledge, or intellectual property garnered from reading this blog may be used without the express written consent of J. Clifford Bates, Esq., Neil Young, and the Commissioners of Baseball Bart Giamatti and Kenesaw Mountain Landis. 4. Every reader of this blog must buy me lunch once per annum. 5. Oh and stop making fun of Canadians. 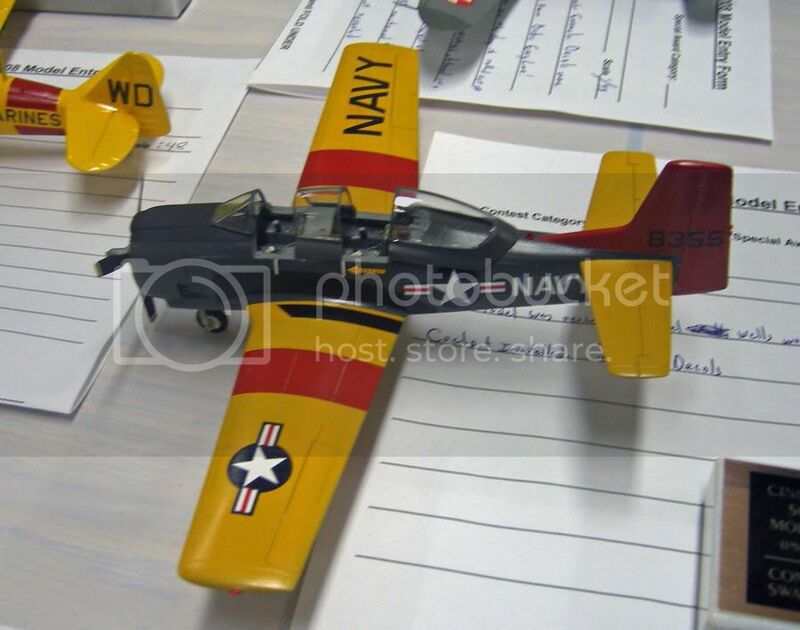 Take two lawyer-modeler-bloggers, take two Academy F-8 Crusaders, a fixed due date of the IPMS/USA 2009 Nationals, and lots of trash talk...and what do you get? Well, we will find out. Recently I noticed David Knights mention he was interested in building an Academy F-8 Crusader. I too had been eyeing my Crusader. Somehow a challenge was issued, and now we have a Battle of the Barristers. The goal is to have both FINISHED Crusaders at the Nationals in Columbus. Somehow a winner will be picked and a Barrister Cup will be awarded. (David thinks such cup will be a trophy equal to Lord Stanley's Cup. Ok David, if that is the case, I can't wait to see you skate around a hockey rink with the Barrister Cup raised over you head...well if you win...) I hear David is doing some Yankee "Mig Killer." 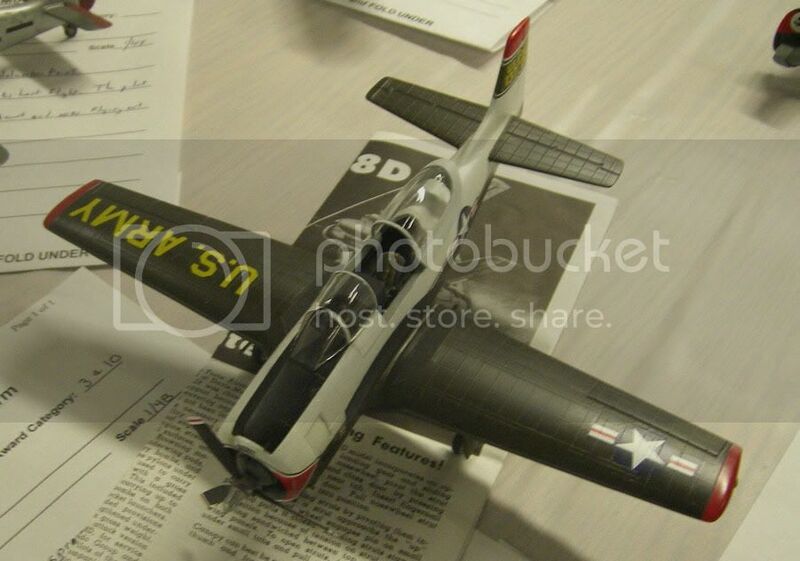 But being an aeronautical purist, I'm going to build a F-8 with much more savoir faire and a little je ne sai quois. I've always been a fan of George Beurling and his feats in the skies above Malta. A friend and I have been e-mail back and forth about Beurling and the new Osprey book on Malta Spitfire Aces. I'll put up a review of the Osprey book in the next few days, but until then here is an interview with Beurling from CBC radio. I assume it was taped in 1944, but it was not aired until May 21, 1948, a day after Beurling's death in a Norseman crash in Italy. There is also a nice pic of Buzz with his RCAF Spitfire IX MH883 VZ-B of 412 Squadron. 2. 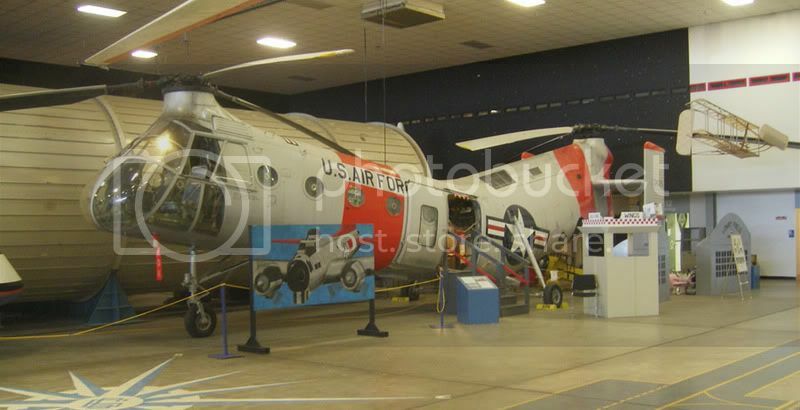 The first flight of the long awaited Sikorsky CH-148 Cyclone took place last Saturday in Florida. The Cyclone will replace the CH-124 Sea King which has been in service with the Canadian military since 1963. 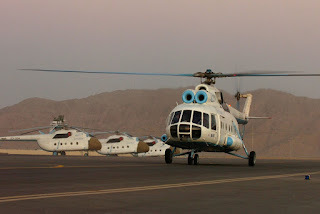 Sadly, it is unlikely that the Cyclone will enter CAF service until at least 2010. Hannants had announced just before the show that they would a "previously unannounced" Xtrakit available at the show. Turns out it is a Sea Harrier F/A.2. 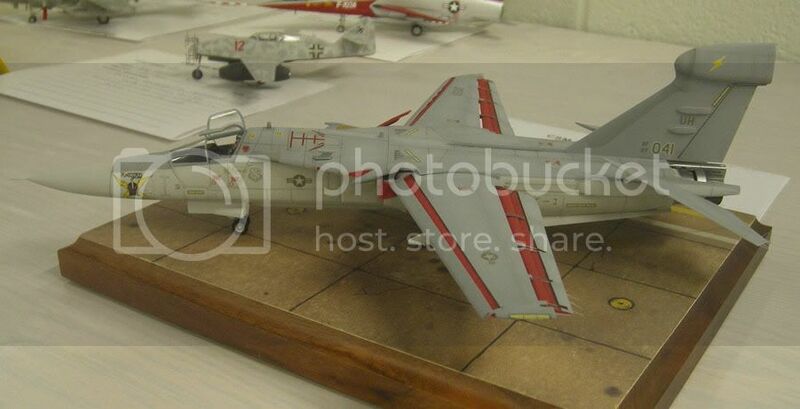 As is common for Xtrakit kit was tooled by MPM/Special Hobby, and technically isn't "previously unannounced," as Special Hobby as had a SHAR2 on their new release list for a year or so. 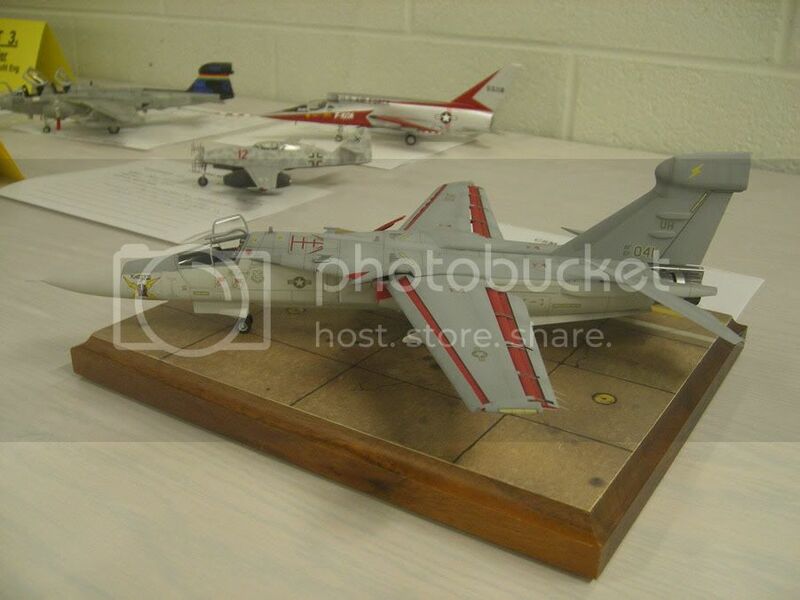 I immediately put one on order as I am a huge Harrier fan and have long wanted a Sea Harrier F/A.2 for the collection. Sadly, after doing so, first reports are the kit isn't really up to the usual MPM standard, and it may be best to wait for the new Airfix kit... I'll report back when I get my copy. P.S. 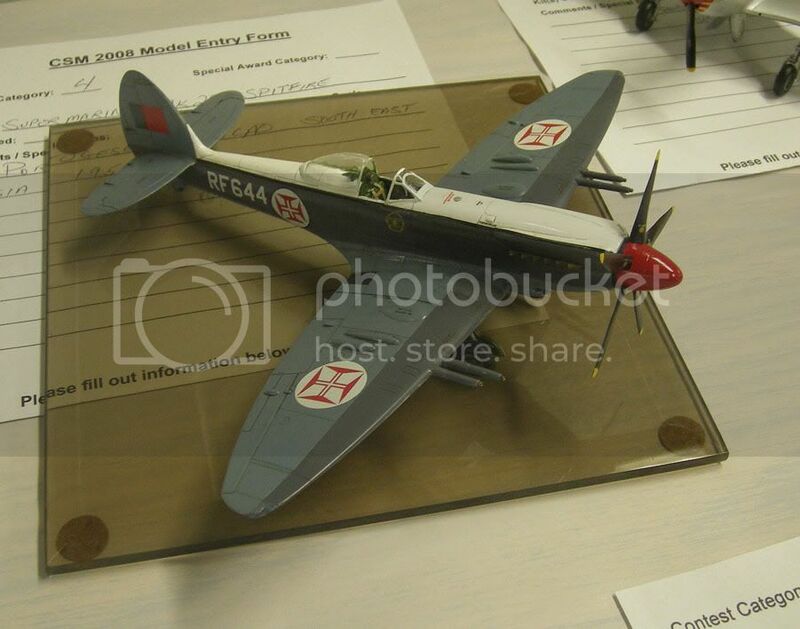 : In other great Spitfire news, it appears that Sweet is doing a 1/144 Spitfire IX. Sweet! Here we find a very interesting excerpt from the 1945 film "Son of Lassie." Forget the dog...though you see him running in one shot...and focus on all the RCAF heavy iron. Venturas and Kittyhawks in the background and Bolingbrokes front and center. Notice the Bolingbrokes have some interesting markings applied for the movie. These scenes were shot at Patricia Bay in British Columbia. One interesting tidbit is that the RCAF transferred the nose section of Bolingbroke RCAF # 710 to MGM for use in the movie. On Saturday I attended the 2008 edition of the Cincinnati Contest and Swap Meet. Again hosted at Scarlet Oaks in Sharonville, the show was slightly smaller then the 2007 edition, but it was still great fun. Well done Cincinnati guys and I enjoyed the tie-dye "uniforms." I look forward to next year. Here are a few aircraft that caught my eye. 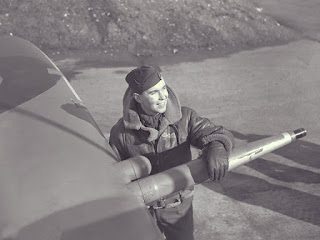 I opened my e-mail this morning to find a message from the Canadian Harvard Aircraft Association stating that CHAA member and former RCAF Spitfire pilot Charley Fox passed away yesterday at 88 years young. Charley was involved in a car accident after leaving the CHAA hangar and passed away on the scene. I'd had the chance to talk to Charlie a few times over the years at Geneseo and had just posted a review of a new book about his life. He will be missed and future Geneseo shows and other Canadian aviation events just won't be the same without him. UPDATE: A good story about Charley's life in the London Free Press. Next Saturday is the Cincinnati Contest and Swap Meet. Mark Smith and I attended last year and had a great time. (Somehow I even won an award...) We've been planning to go for months, so you would think I'd have a few things finished for the show, right? Wrong! Once again, I've failed to finish anything over the summer and early fall. I've got tons of models that are almost done, but I'll have nothing to take to the show. I've pissed away most of my modeling time...again... What a loser. (Btw, I'm of the opinion, that while I could care less about contests and winning trophies, I like to enter something at every show I attend. I feel you get more out of these shows if you participate.) I've got the 24 hour tank that just needs a little bit of assembly and I started the new Accurate Miniatures Predator last night and already have the major parts assembled, but usually my modeling time is limited during the week. So there is a slight chance I won't attend empty handed, but I wouldn't bet on me. Accurate Miniatures Predator UAV: This is the AM rebox of the Platz kit. A nice simple model. The decal sheet has options to do any USAF Predator, but I have other ideas. The molding is nice, it has some surface texture and a little flash. That being said this is the perfect quick build. 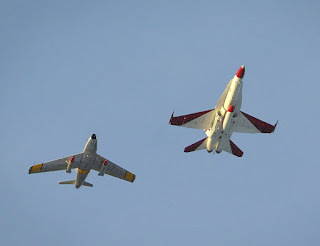 Trumpeter Lightning F.6: I'm not a big Trumpeter fan. Most of their 1/72 kits I've seen fall into the close but no cigar category. Their kits lack the finesse of the top of the line model makers and they usually have some silly mistakes...not to mention the high price tags. That being said the Lightning looks excellent. Nice molding, and nice detail. In fact it kind of looks like a scaled down version of the 1/48 Airfix Lighting. The decals look normal for Trumpeter...ok I guess. The only bad news is the price. I paid almost $30 for a 1/72 scale jet. Ouch. I look forward to tearing into this one soon. 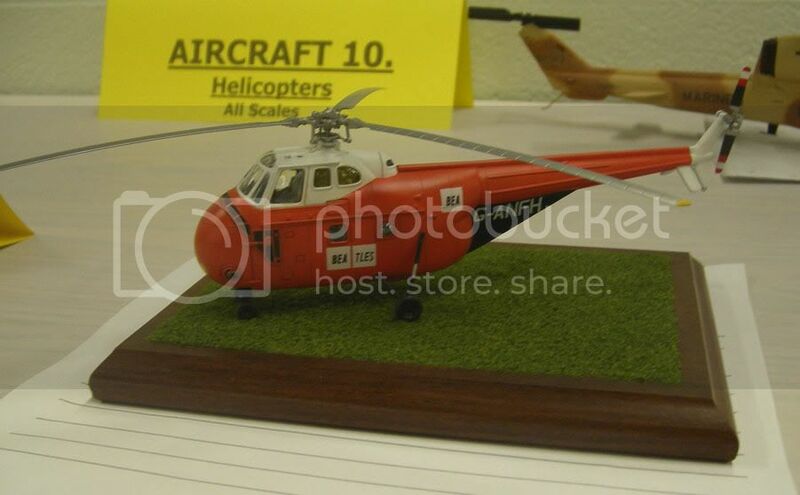 Trumpeter CH-47D Chinook: This kit falls squarely into the close but no cigar Trumpeter category. It looks like an ok kit, but for the price I expected more. For example the mating surfaces on the fuselage halves are not flat and one or both of them are a little warped. All in all, it is probably a better place to start then the Italeri kit, but it just doesn't inspire me like the plastic in the Lightning box does. 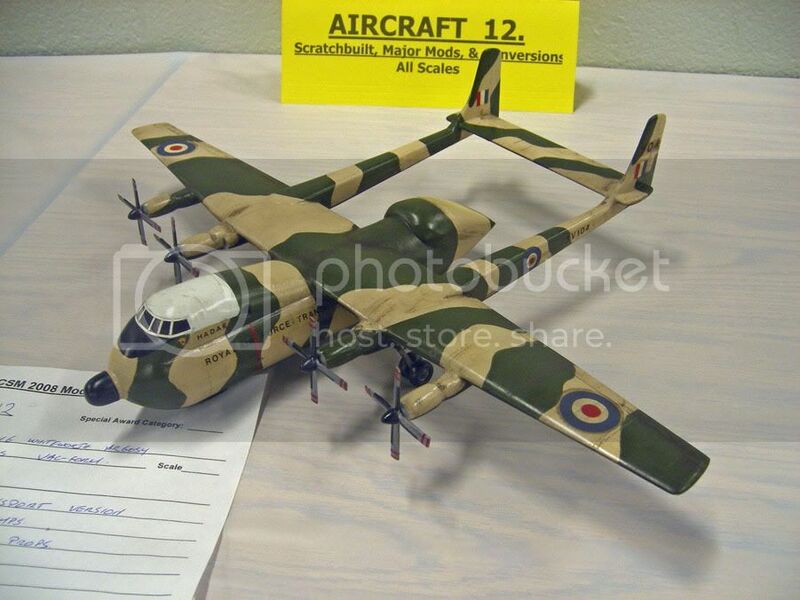 RCAF B-25 Crash - You've got to be kidding me! Could this possibly be the best story ever about a crashed B-25? An RCAF Mitchell full of Nazi gold, cash, and the "Spear of Destiny" leaves Saskatchewan and crashes near Pitt Lake, B.C. Wowie. The only problem is that none of it is true. But don't let reality get in the way of a good Indiana Jones/DiVinci Code story. Plus that disembodied computer voice is not only spooky, but laughable. One of the highlights each year of the Geneseo airshow is the chance to hear ex-RCAF Spitfire pilot Charley Fox's "colour commentary." Not only goes Charley talk about the aircraft in the show, and his intake of water during the show, but he tells stories of his service both in Europe and Canada with the RCAF in World War Two. Mr. Fox had a very interesting career first as a Harvard instructor and then as a Spitfire pilot in Europe. 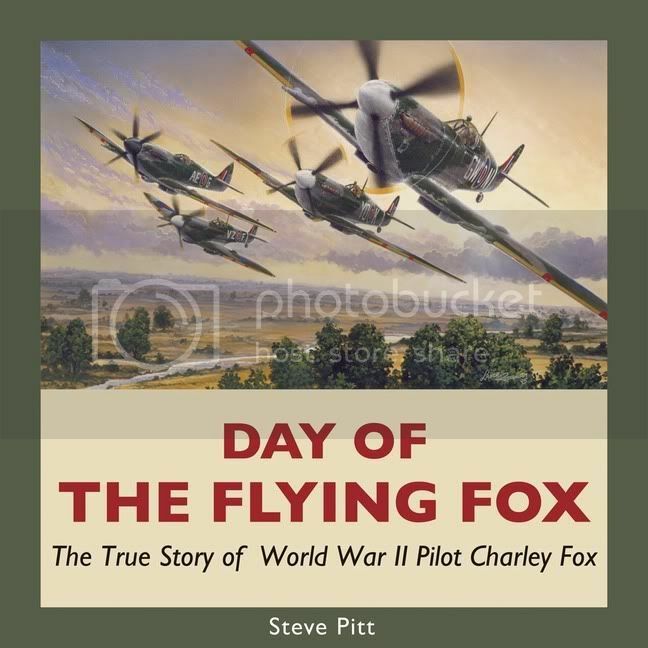 Day of the Flying Fox by Steve Pitt is a rather interesting book that gathers many of Charley's stories together in print. I think Mr. Pitt intended this book as a children's or young adult's book as it has many sidebars entitled Wordplay, Fascinating Facts, and the occasional Frightening Fact. If you ignore some of these rather basic sidebars, what you find is a rather breezy but interesting read about Charley's wartime exploits. It includes his mid air with a Hurricane in Canada, an attack on a German staff car that may have contained Rommel, his flight testing of a FW-190, a very bizarre friend fire incident involving a P-51 Mustang, and his participation in the last 126 Wing combat op of World War Two. I also enjoyed the fact that Charley's time as an instructor in Canada was not overlooked. Usually books such as this tend to give the BCATP a short shift and focus on combat operations, but Pitt did a great job weaving in both facets of Mr. Fox's flying career. I did find it rather annoying that the author referred to the North American Yale as a BT-9 a few times. A Yale is a Yale, but if you must try to apply a U.S. designation to it, it is closer to a BT-14 rather then a BT-9. This minor quibble aside, it was an enjoyable read and one that RCAF and Spitfire fans should check out. While in Denver, Heather and I visited the Wings Over the Rockies Air and Space Museum located on the site of the former Lowry Air Force Base. Now mostly a residential and shopping area, the Museum has a few interesting aircraft in their collection. 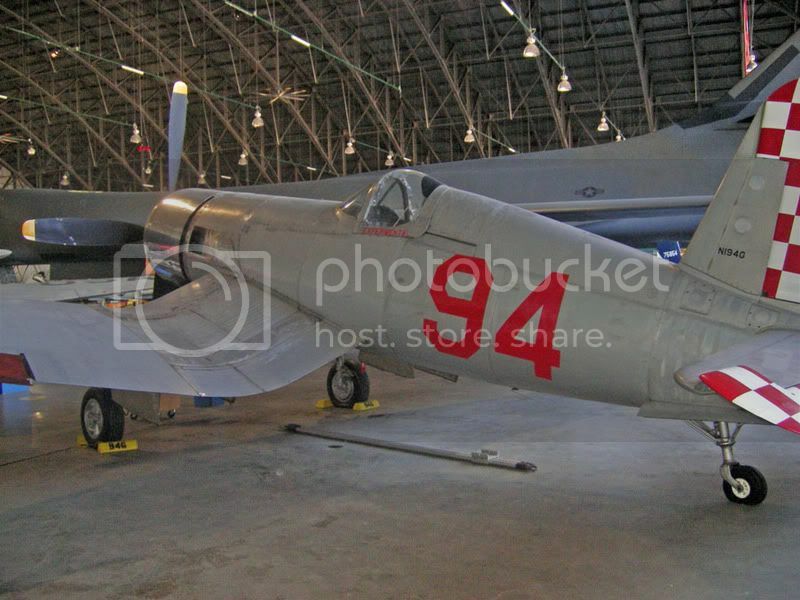 The star of the collection is James Axtell's FG-1D Corsair N194G BuNo. 92050. It has some rather interesting racing modifications including radically clipped wings and wooden ailerons. I wonder if it ever flew with these modifications? The other rare gem in the collection is Douglas B-18A Bolo s/n 39-025. 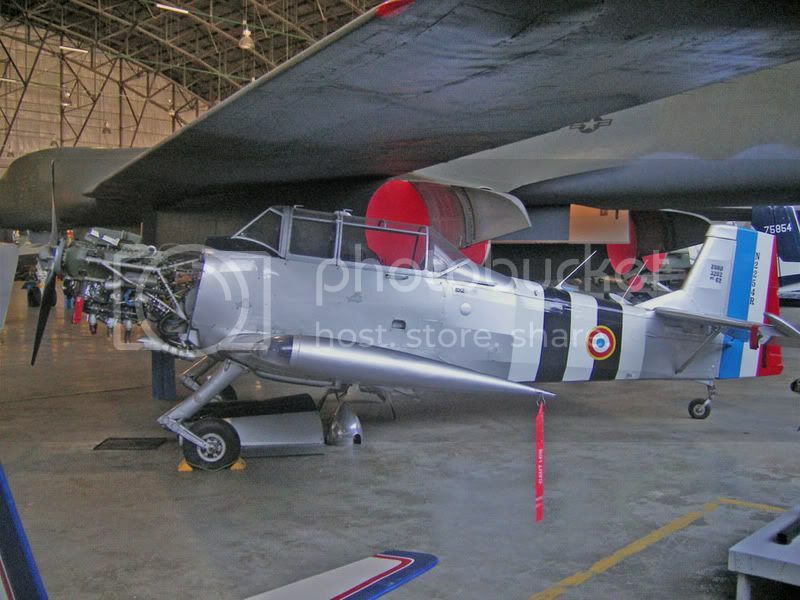 This French Nord 2302 N2254R was a pleasant surprise. 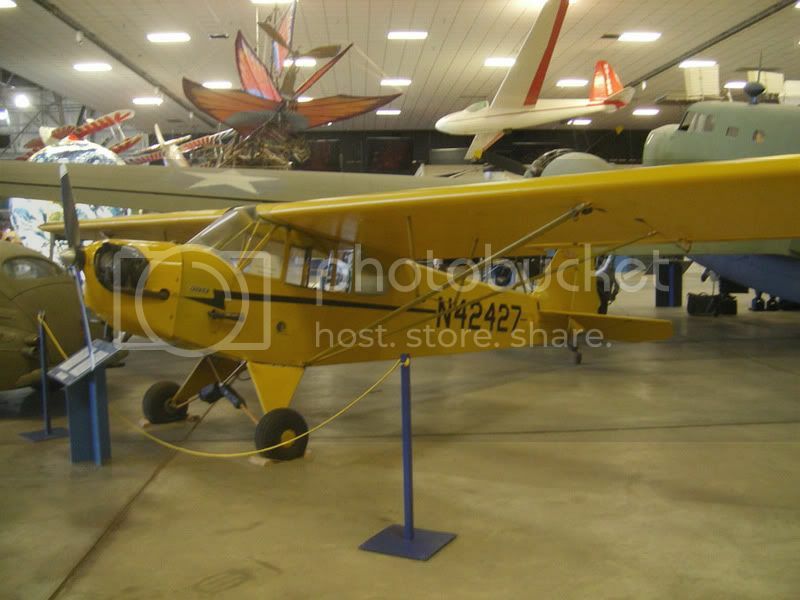 Every Museum needs a Piper J-3 Cub. This is N42427. Another very rare bird is NC2568, an 1926 Alexander Eaglerock. 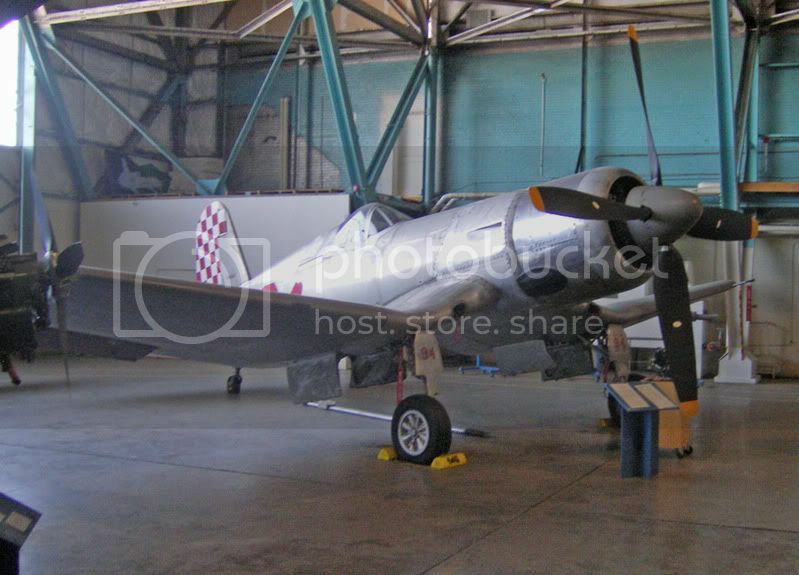 Finally we have a Beechcraft AT-11 s/n 42-37496. 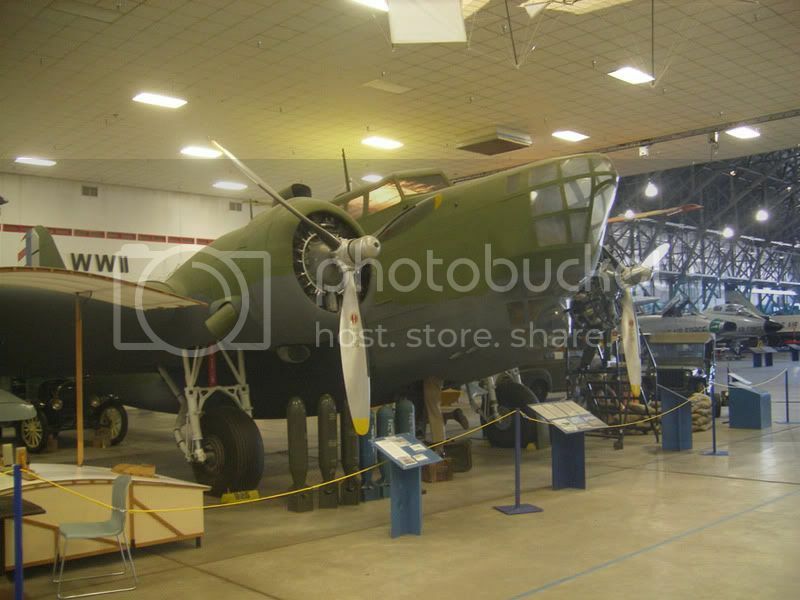 While it was built as an AT-11, it is on display as a C-45. Flying Banana anyone? This nice banana is Boeing-Vertol H-21 Shawnee s/n 55-4218. I Don't Want to Be Left Out - Two Modeling Tips! Recently David and Chris have posted modeling tips. I don't want to be left out, and since they each posted one tip, I will outdo them and post two. Like Polly Scale's choice of colours and easy availability in most hobby shops? Hate how they airbrush? Well check out Liquitex Flow Aid. I add eight or so drops to every jar of Polly Scale when I open it. The Flow Aid improves how the paint goes on by brush. I've also noticed that if you thin the Polly Scale with 40% to 50% Tamiya thinner and add a drop or two of the Flow Aid that you can get the Polly Scale to spray without tip clogs. Oh joy! I wish I got to see these guys in person. 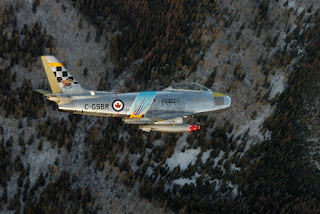 While it won't be six Sabres in formation, look for the Hawk One Sabre to reappear in Golden Hawks paint in the next month or so in order to be ready for Canada's Centennial of Flight next year. 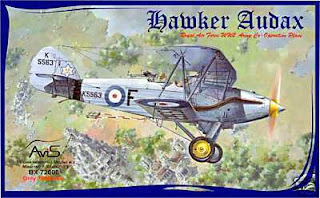 Above is the box art for the newest boxing of the pretty nice "new tool" Hasegawa 1/72 Lancaster released few years back. 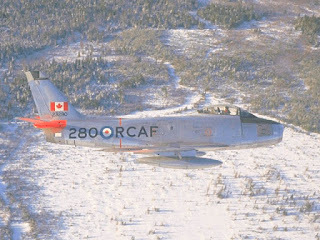 Notice the RCAF markings. Occasionally Hasegawa have issued kits with (R)CAF decals and decal accuracy has been uniformly poor. Sadly, based upon the box art you can add the Lancaster to the list. 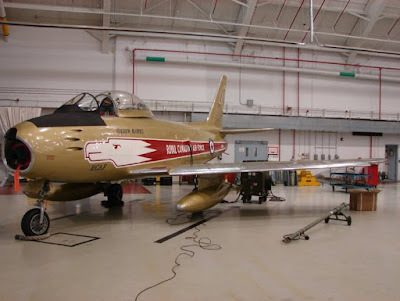 A few years ago I assisted decal artist Jennings Helig when he was working on an Xtradecal sheet for the same aircraft. 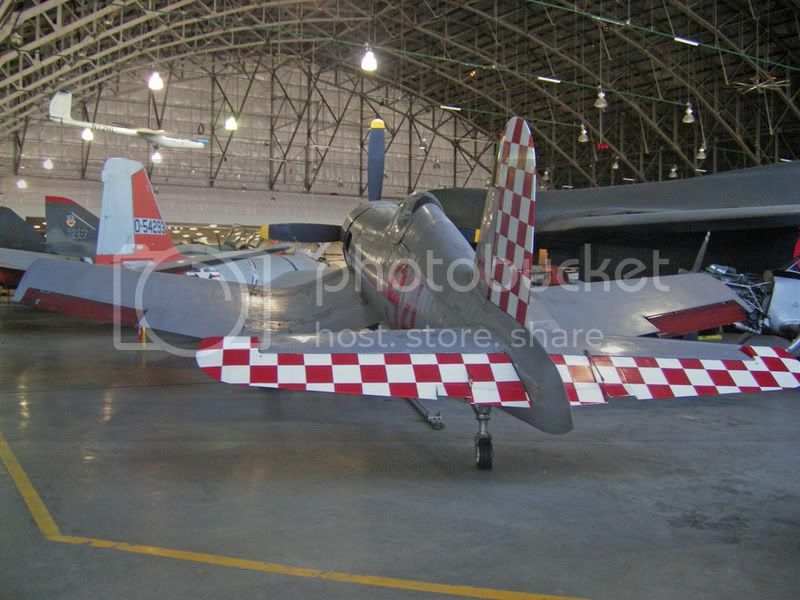 Jennings originally had the fuselage flash as red as well, until I mentioned it was blue. A colour photo in Larry Milberry's Canada's Air Force At War and Peace Vol 3 clearly illustrates that FM104 had a blue fuselage flash. (See here for a photo of FM213 in the same scheme.) I'm not sure where the idea of the red flash originated but clearly Hasegawa has copies someone's previous error. 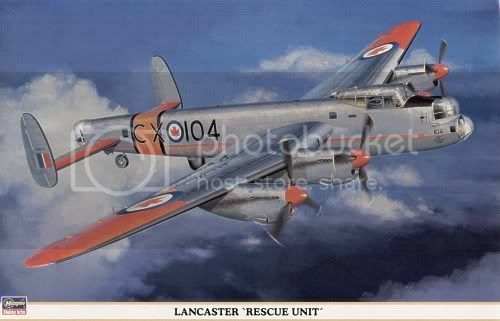 It is also my understanding that Hasegawa used International Orange for the Rescue Band, this should be dayglo orange, and used a light blue for the RCAF roundels, this should be normal roundel blue. I have yet to see the actual decal sheet, but I will guess that the maple leafs will be misshapen, as Hasegawa has yet to get the RCAF leaf correct. 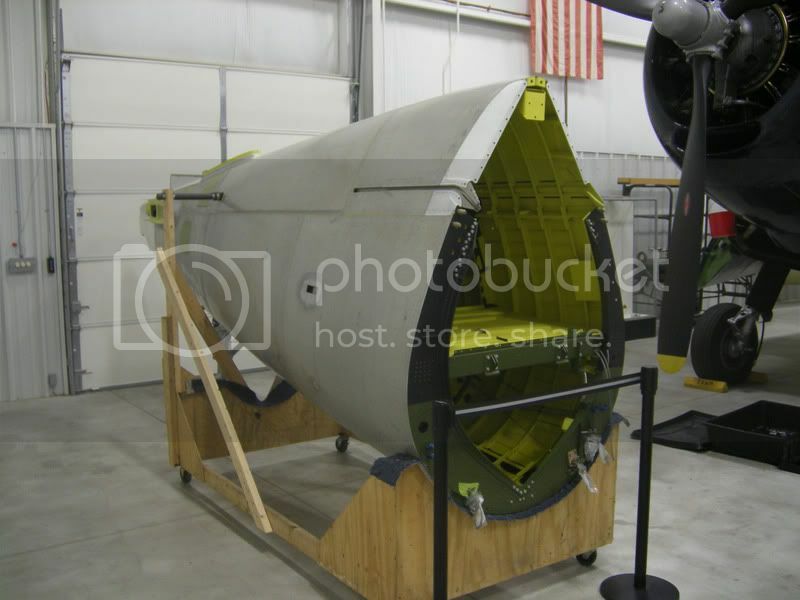 Also, I wonder if Hasegawa has provided additional parts to build the under fuselage radar dome? It is not in the plastic on the standard kit. Also keep in mind that RCAF aircraft has little bulged SAR windows just before the horizontal stabilizers and these were different in location and construction then the similar windows on RAF aircraft. There is one point on the scheme that is still in question. In the photo referenced above it is hard to tell if the hi-viz panels on the wings and horizontal stabilizers are red or dayglo orange. Jennings is of the opinion they are red and that is how he illustrated them on the decal sheet. I'm not 100% sure. They sure look like dayglo orange on FM213, and I would assume that they were the same on FM104. Anyone know for sure? What is really sad about this situation is that Hasegawa had previously boxed the Lancaster kit as FM104 in a later scheme. 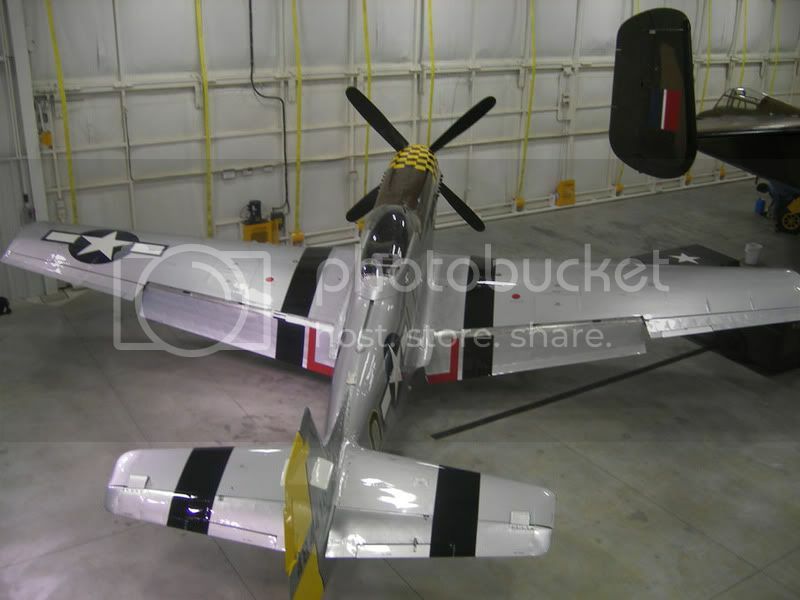 In that boxing they contracted Leading Edge models to do the decals and resin necessary for the aircraft. 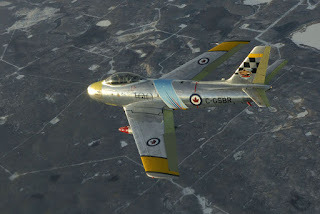 As is usual, Leading Edge did an excellent job on the decals, and that boxing is an excellent buy for the RCAF modeler. I wish Hasegawa had again contracted Leading Edge for this boxing rather then doing a poor job using their in house staff. 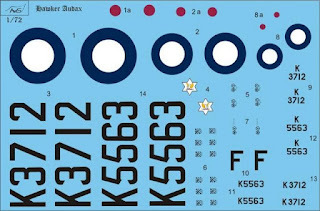 If you wish to model FM104 in these markings, I suggest you buy a cheaper boxing of the Hasegawa kit, or the new Revell kit, and pick up the Xtradecal sheet. That way you can accurately model FM104 in this scheme. Malta Spitfires in Colour...but what colour is it? Earlier in the year I purchased some SNJ natural metal paints from Hawkeye's Hobbies and set them aside for later use. (Yea there is a surprise...see how much modeling I've written about recently...) About a month or so ago I dug them out to use on a 1/144 Trumpeter Sabre and I was disappointed to find the unopened paint had solidified into a rubbery mess. 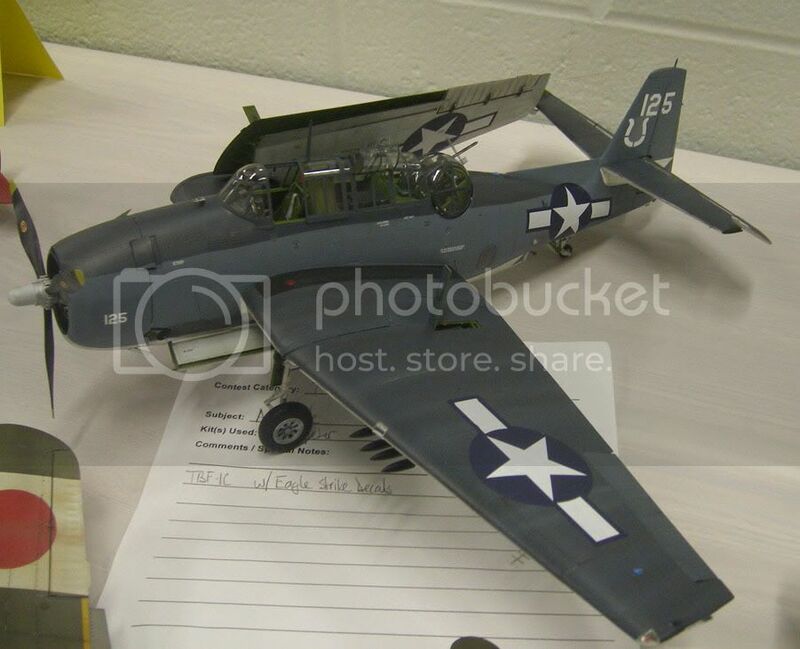 Last week I contacted Hawkeye's Hobbies about the issue and owner Gerald Voigt promised to send out replacement paints. The replacements arrived yesterday and are in much better shape. I hope to try them out on the Hobby Boss Sabre this weekend. So thumbs up to Gerald Voigt and Hawkeye's Hobbies for excellent customer service. You don't see good service today as much as you should and I feel that I should highlight Gerald and Hawkeye's for being one hobby vendor who still provides great service. P.S. 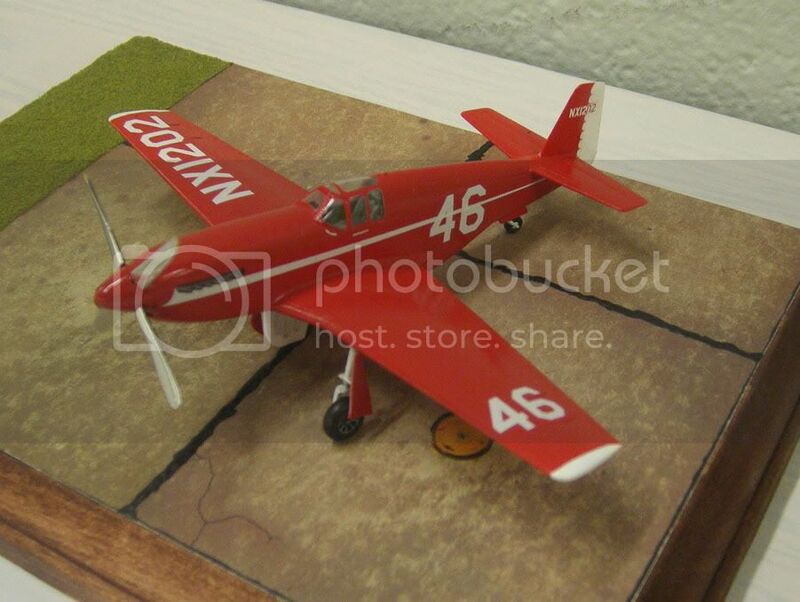 : Hawkeye's has a very nice website with lots of tips and nicely made models. They also have one of the few modeling blogs I've run across. Both are worth a look. 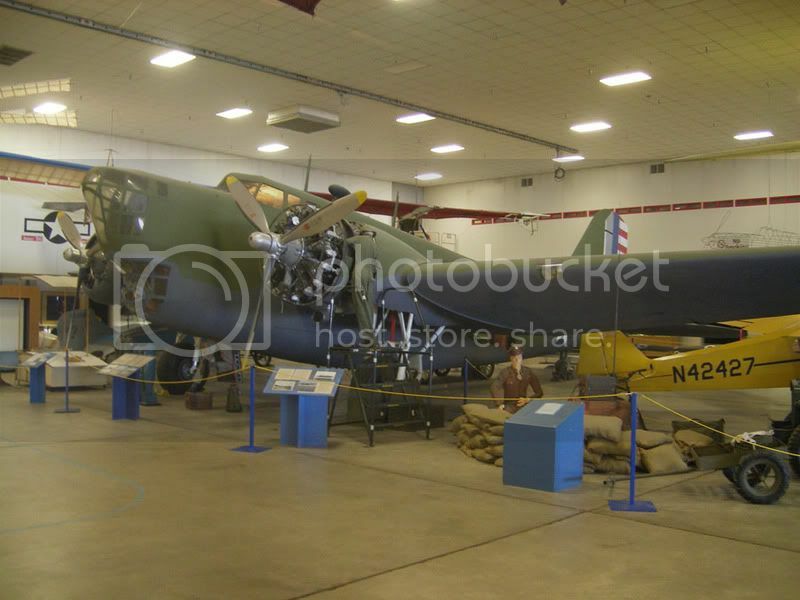 One of the most interesting displays at the Tri-State Warbird Museum in Cincinnati, Ohio, is the Corsair restoration project based upon Goodyear built FG-1D BuNo. 92132. Now registered N3466G this Corsair, which was built in Akron, Ohio, has spent most of its life in storage. 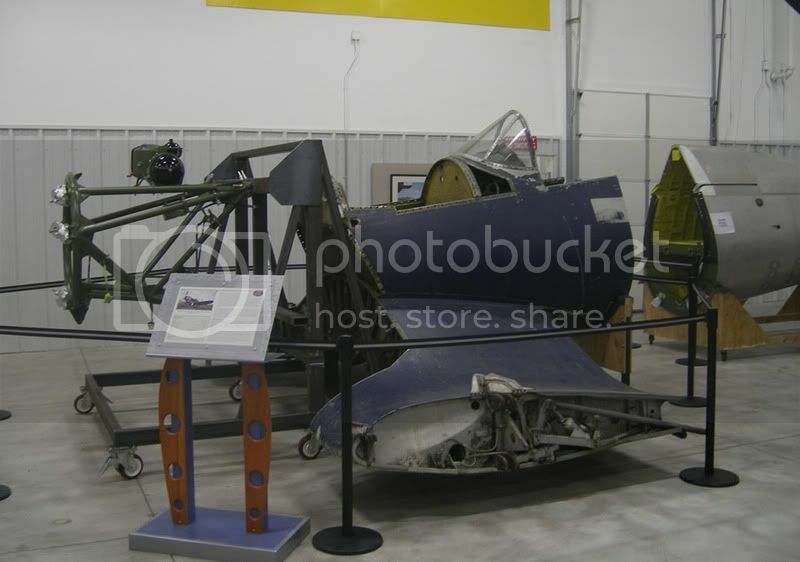 The FG did not see combat and was retained in the U.S. Post-war it was on display with the Air Museum at various California locations. In the 1970s it was sold to David Tallichet and became a television star. 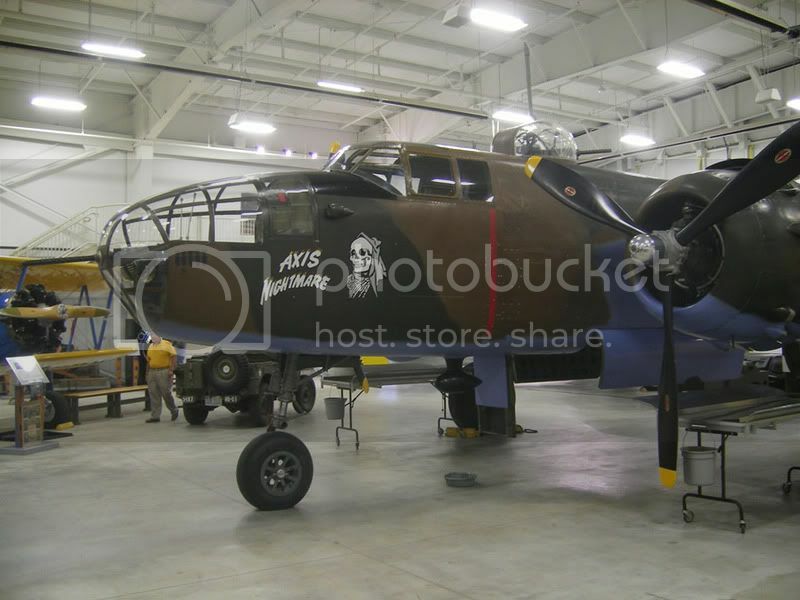 After being brought back to airworthy shape, it was flown for the TV show "Baa Baa Black Sheep." 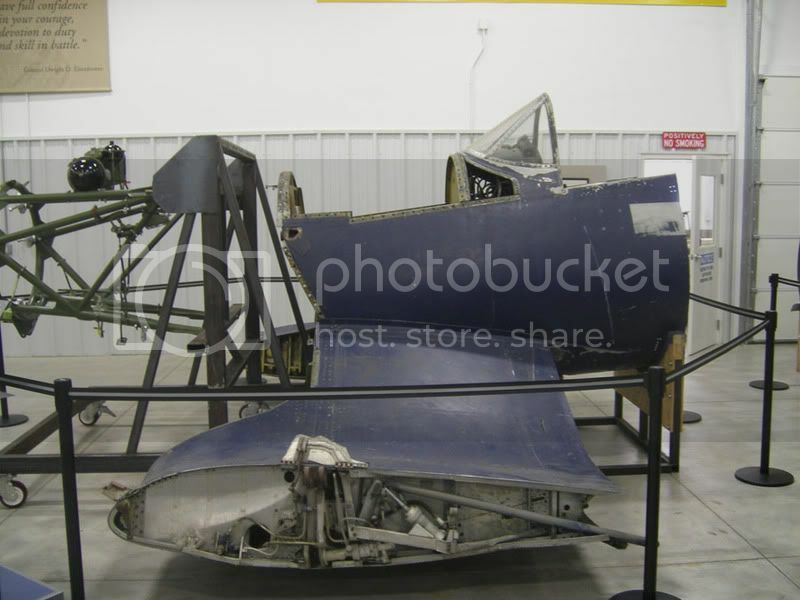 Once filming wrapped up, the Corsair was placed in storage first in California, and then in Illinois. 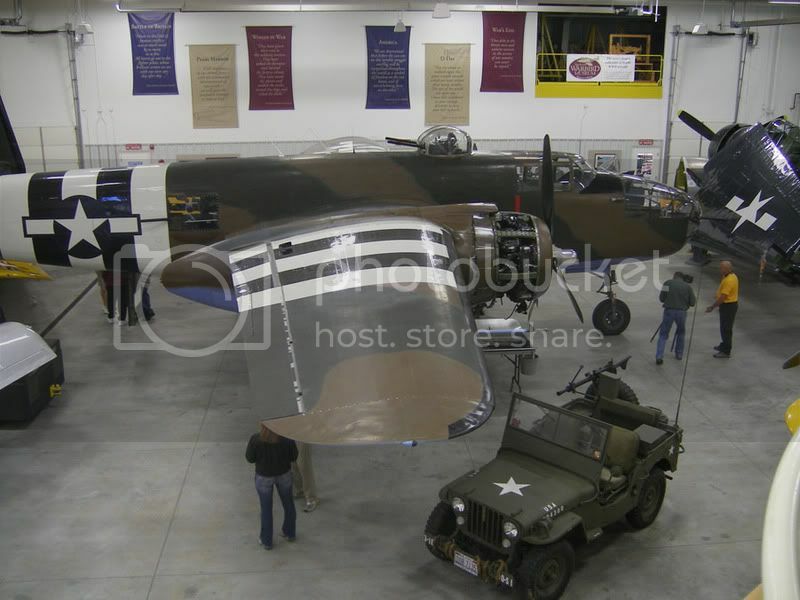 A few years ago the project was placed on the market and the aircraft was purchased by the Tri-State Warbird Museum. 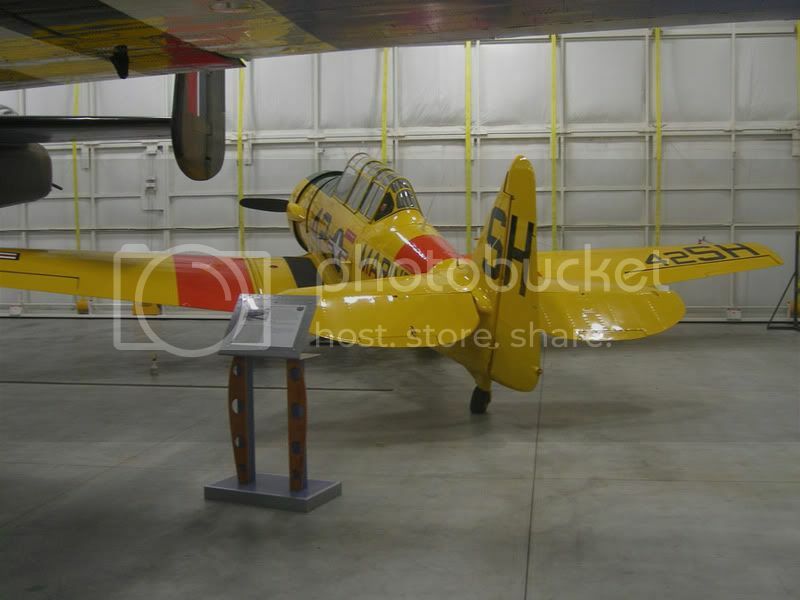 Since that time the airplane has been under a slow but methodical restoration back to airworthy condition. 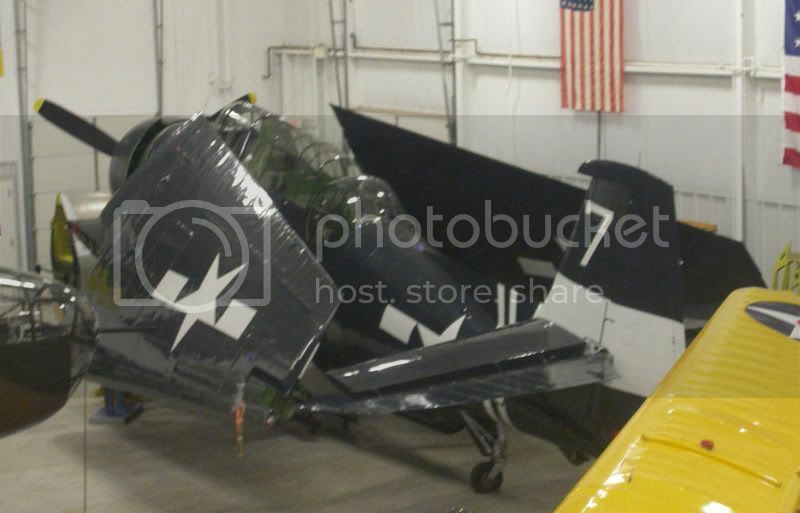 As this Corsair has not been previously restored in civilian life, and as it is a complete aircraft and not a wreak, it is a unique time capsule and will one day look stunning when it takes to the air. 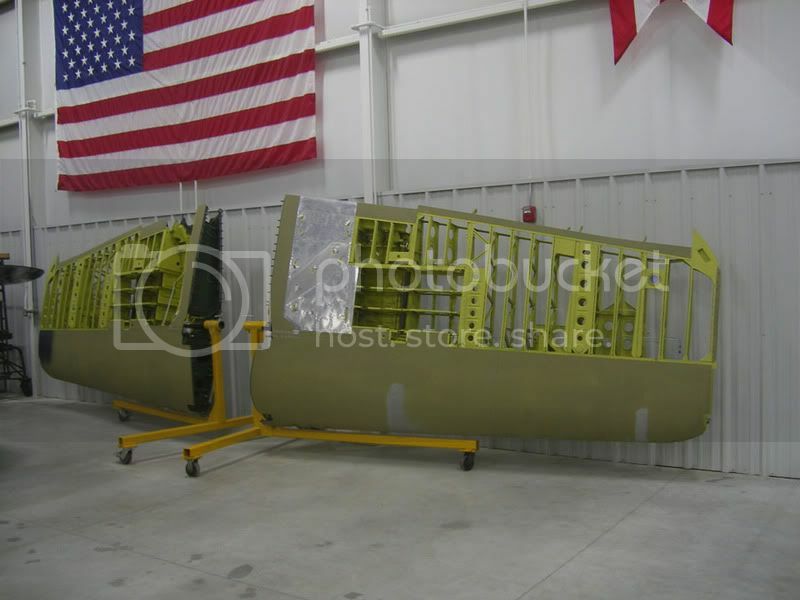 Restoration has focused on the wings and the tail section. 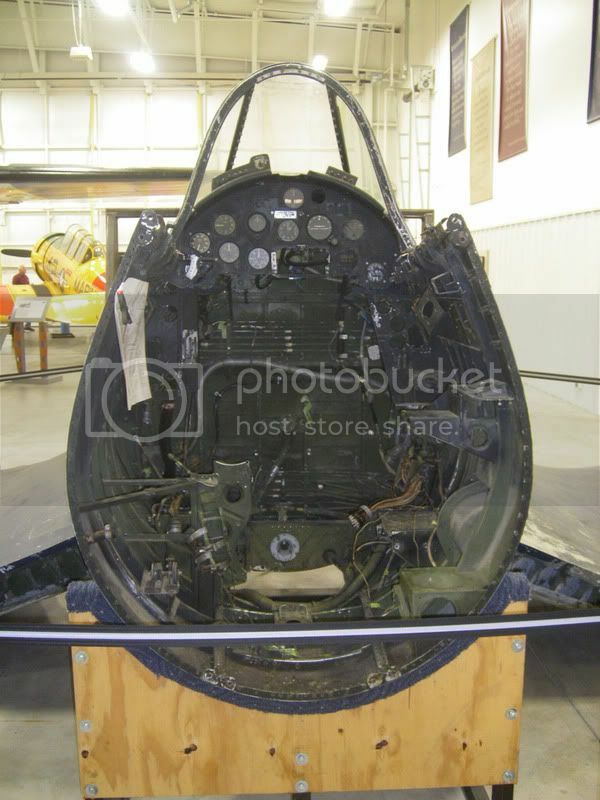 The center section is on display in the Museum in its unrestored state. Because of work commitments we had to cancel our trip to Virginia Beach for the IPMS/USA National Convention earlier in the month. 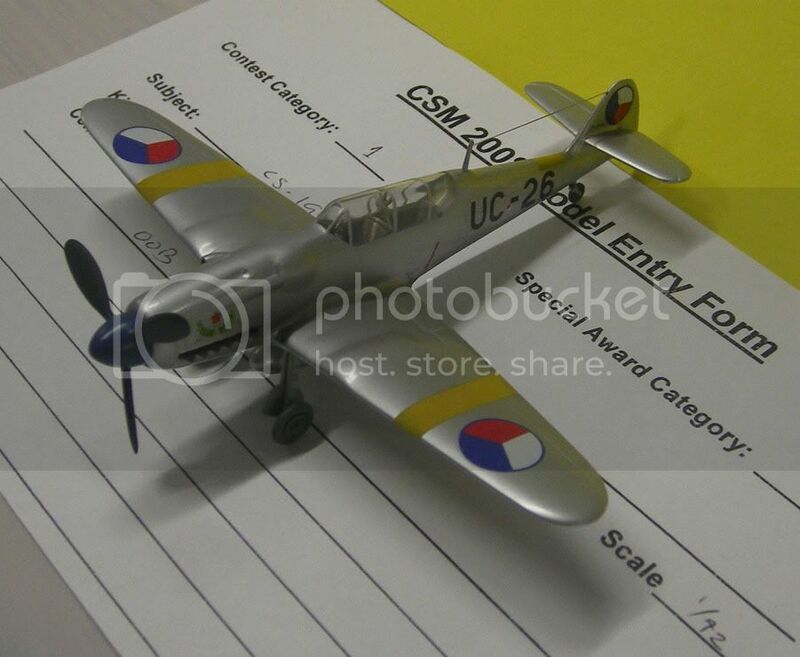 I did however follow the posts, discussions, and photos online as most modelers do. Little of the new stuff announced or available at the show really excited me. 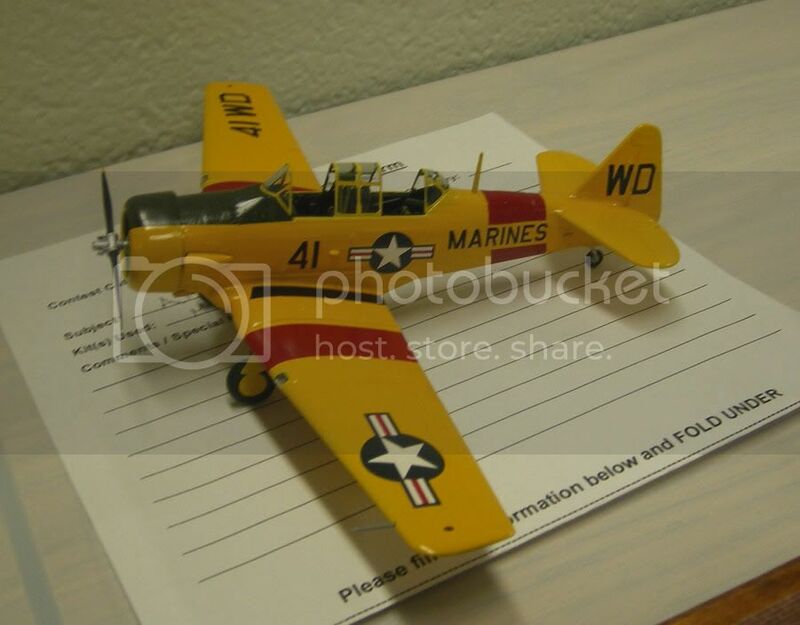 However, last week I got a newsletter from Greatmodels and they mention Azur is doing a Fleet Finch in 1/72. Cool! I can't wait to get my hands on a couple of these. I know Planet did a resin Fleet Finch a few years ago, and I do have one in the collection, but I would rather work in plastic then resin. Ex-Royal Canadian Navy TBM-3E BuNo. 53420/N420GP was forlornly stuck in the corner. TB-25N s/n 45-8898/N898BW "Axis Nightmare." 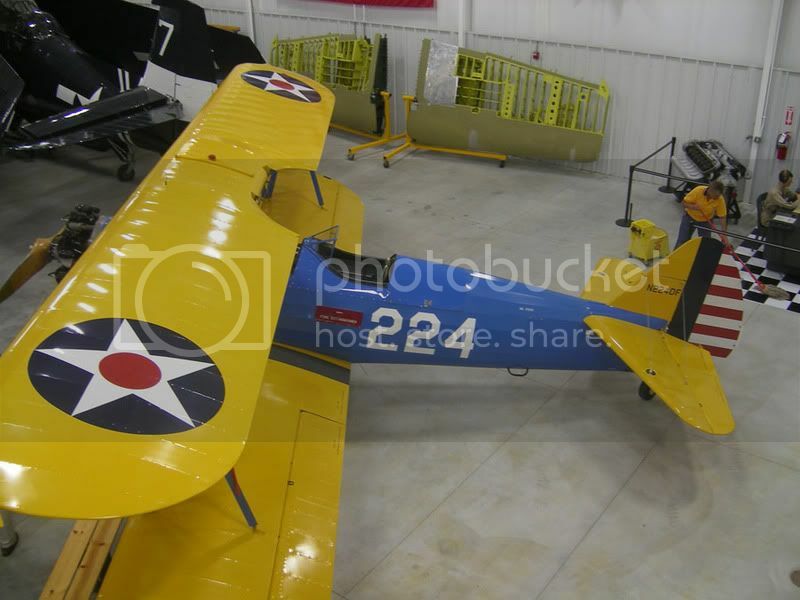 Every Museum needs a PT-17 Stearman. This is N224DF. 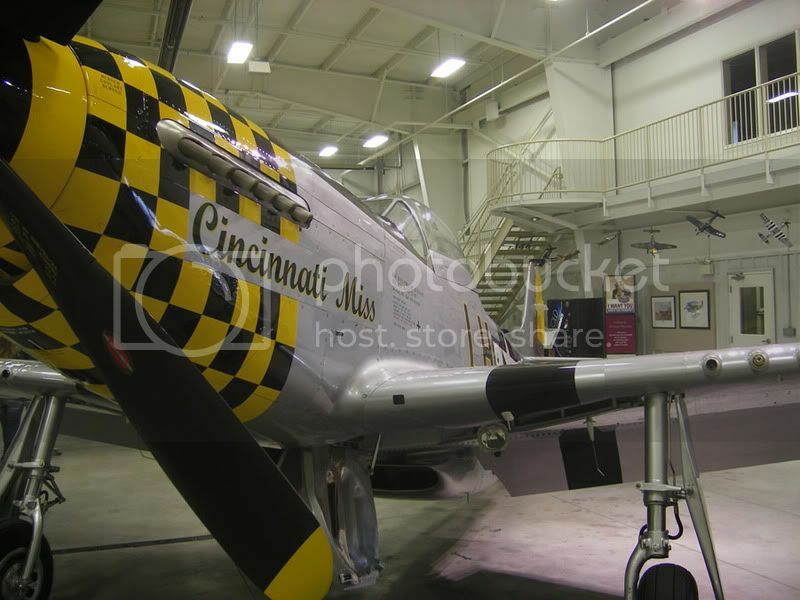 The Museum flagship is P-51D N83KD "Cincinnatti Miss" with the assumed identity of s/n 44-84410. 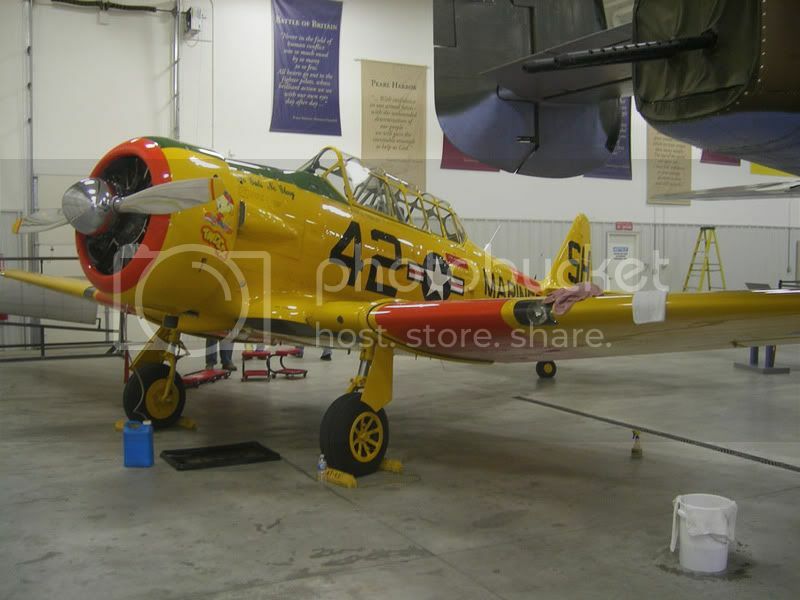 AT-6 s/n 42-84779/N7RK masquerading as "Tweety" the SNJ-5. Later in the week I'll post some photos of the Corsair restoration project. 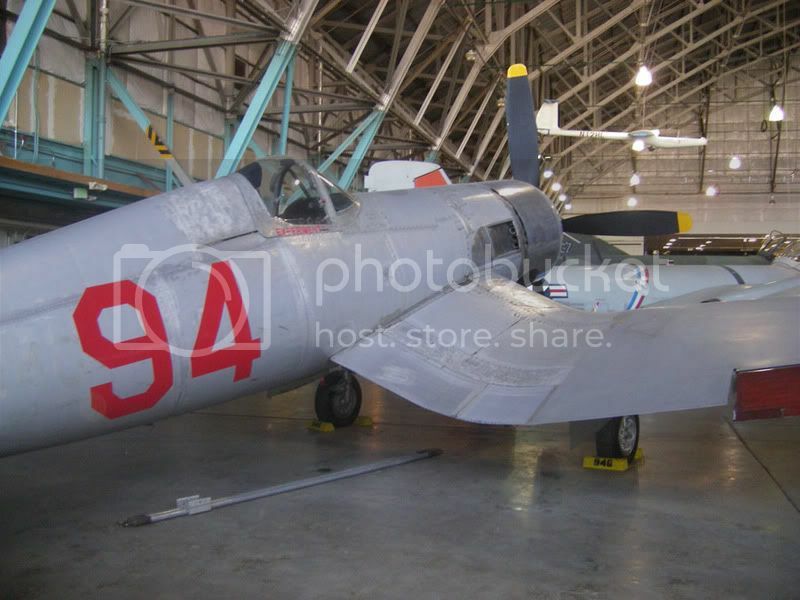 Since our visit the Museum has added a Strikemaster, FW-190 recreation, and a P-40 project to the collection. I'm not sure how they fit all the new additions in the hangar.